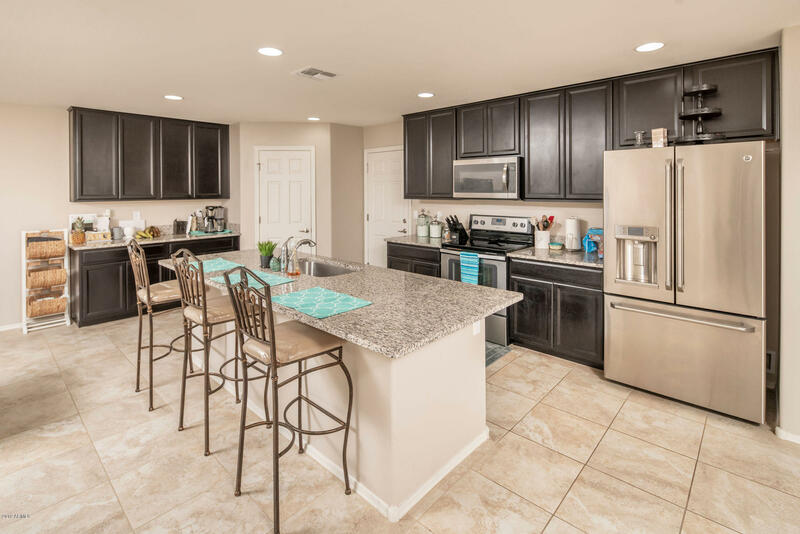 All LA VENTILLA homes currently listed for sale in Goodyear as of 04/26/2019 are shown below. You can change the search criteria at any time by pressing the 'Change Search' button below. "Community pool within walking distance! Gorgeous tile is featured throughout the downstairs and in the bathrooms making your house clean-up a breeze! The modern kitchen features stainless steel appliances, and dark espresso colored 42'' cabinets for all your entertaining storage needs. Beautiful grey tone granite countertop adds a gorgeous finish to this dream kitchen. Indulge in your home spa with the split shower and tub master bath. 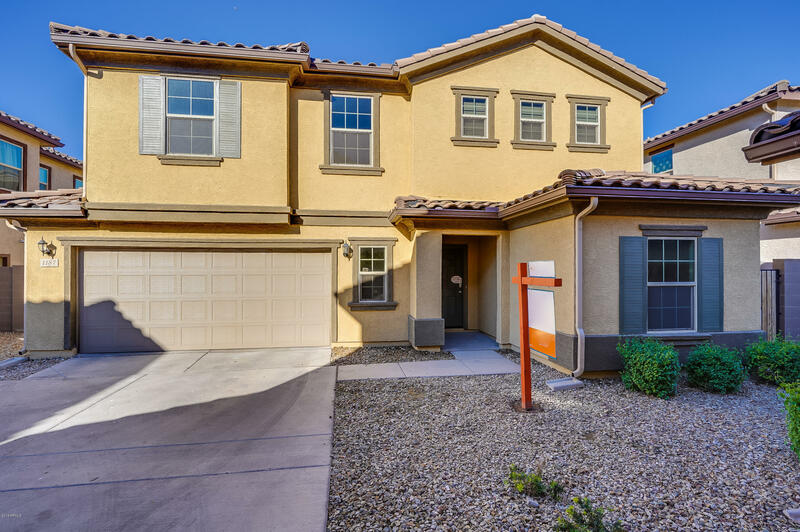 Full bedroom and bath downstairs graciously accommodate gues"
"Welcoming two story home with 3BR/2.5BA and a den that offers fresh paint and an inviting feel throughout. The entry leads to an open living room and kitchen that has matching stainless steel appliances and ample counter and cabinet space. Upstairs, there is a spacious loft that can be used for an extra entertainment area or playroom. The master bedroom boasts an attached ensuite with a dual vanity, separate shower and tub, and a large walk-in closet. In the backyard, there is a lovely covered p"